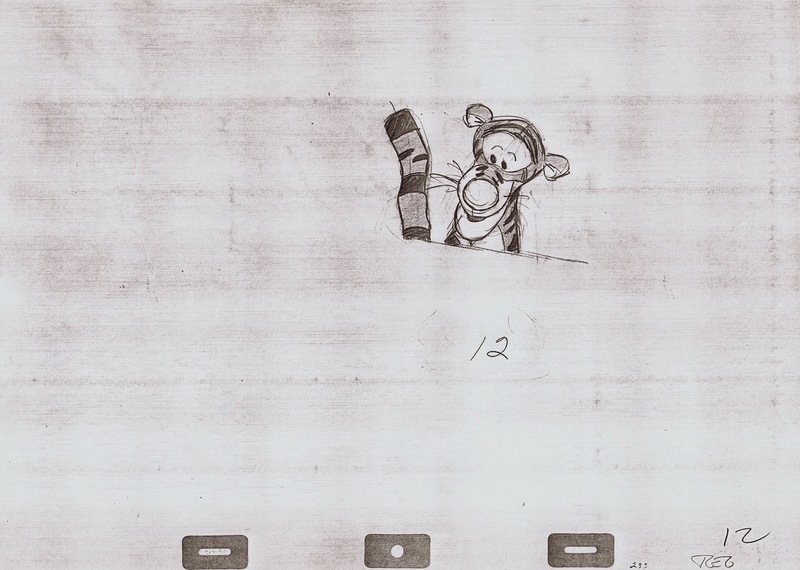 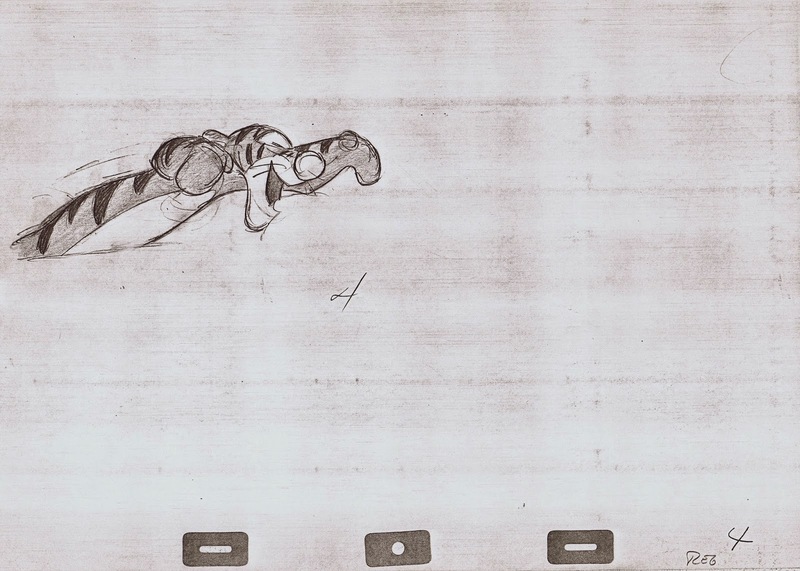 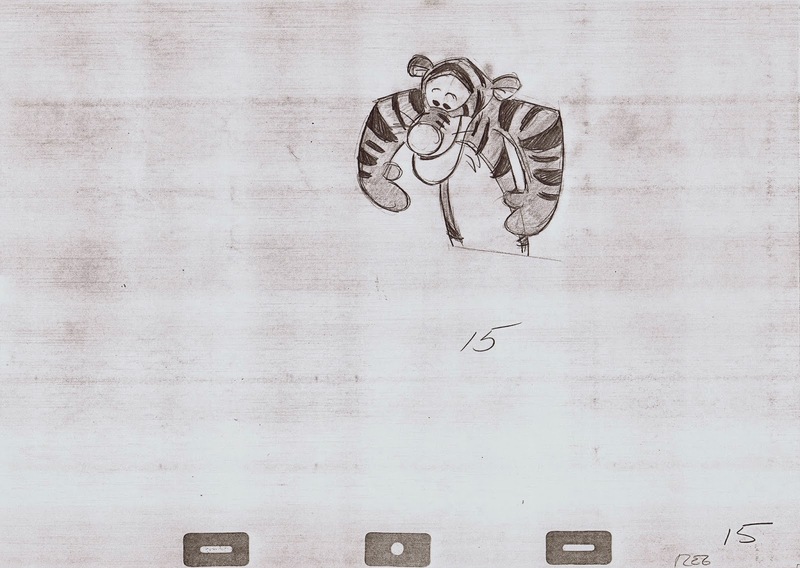 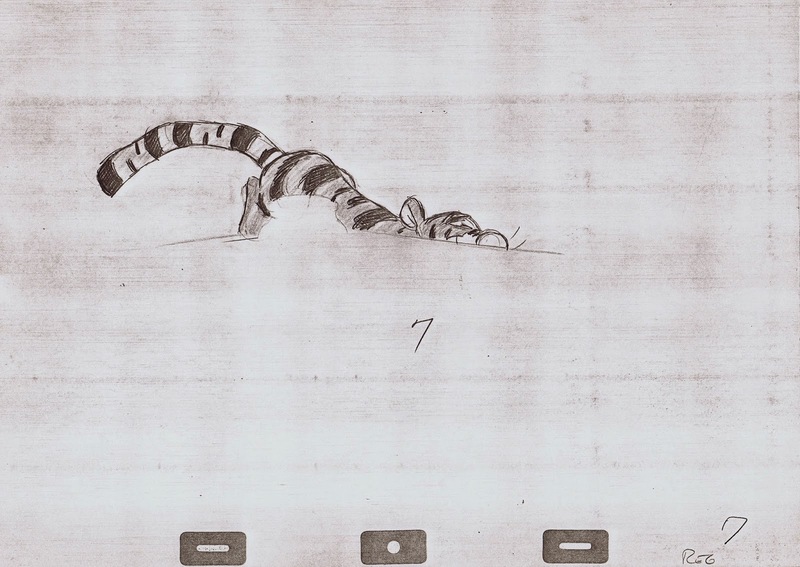 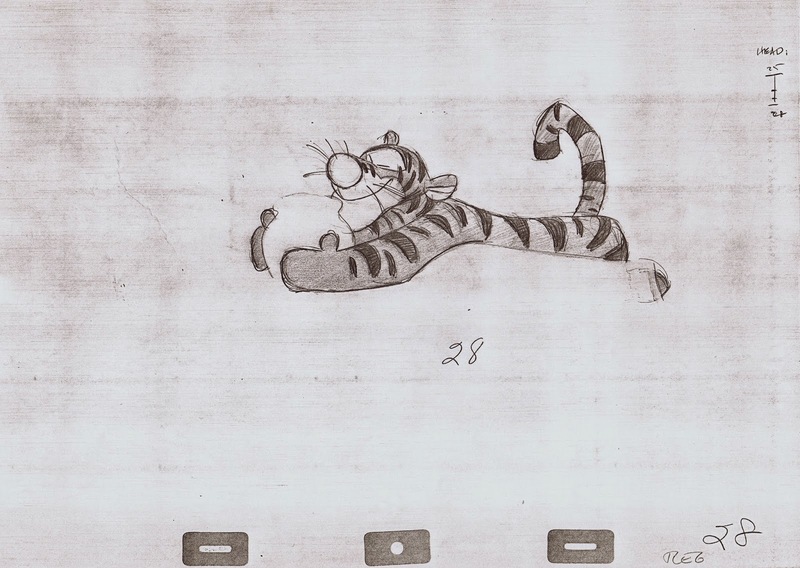 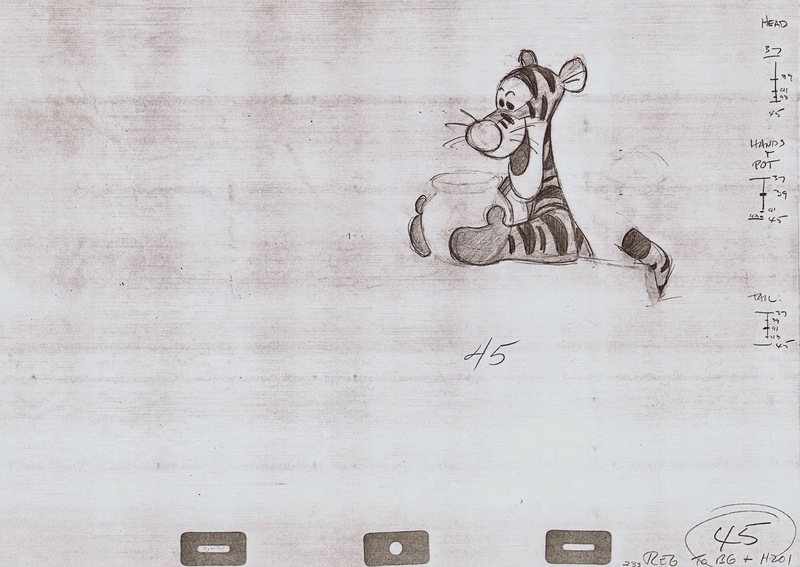 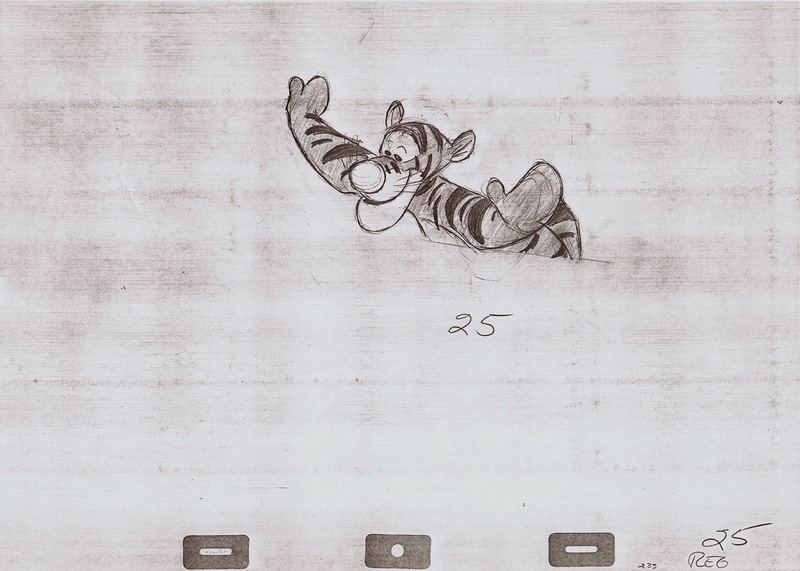 Way back on the original Winnie The Pooh shorts, Tigger was the last character to be translated from a book illustration into an animation design. 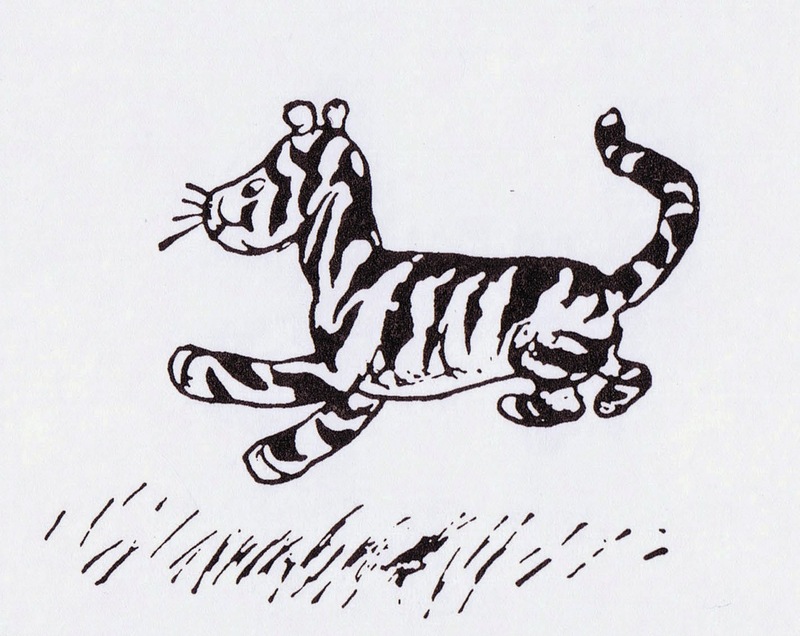 His transformation was more substantial than any of the other personalities. 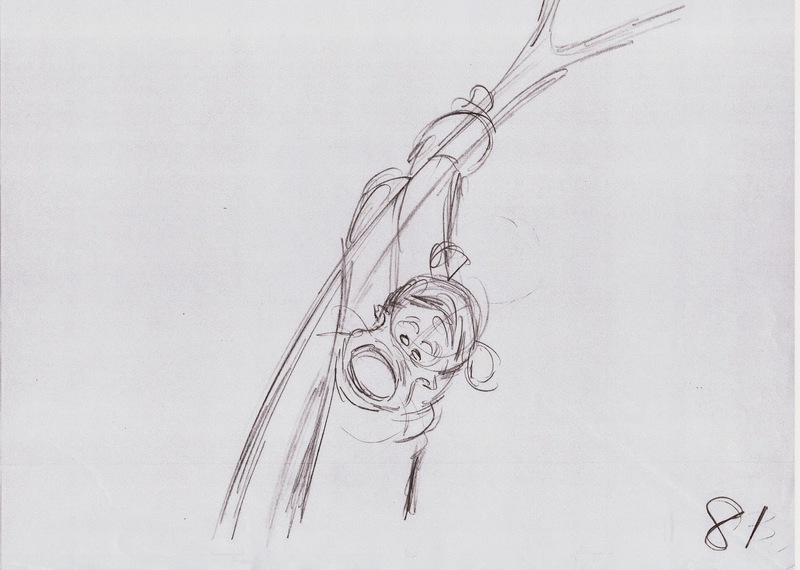 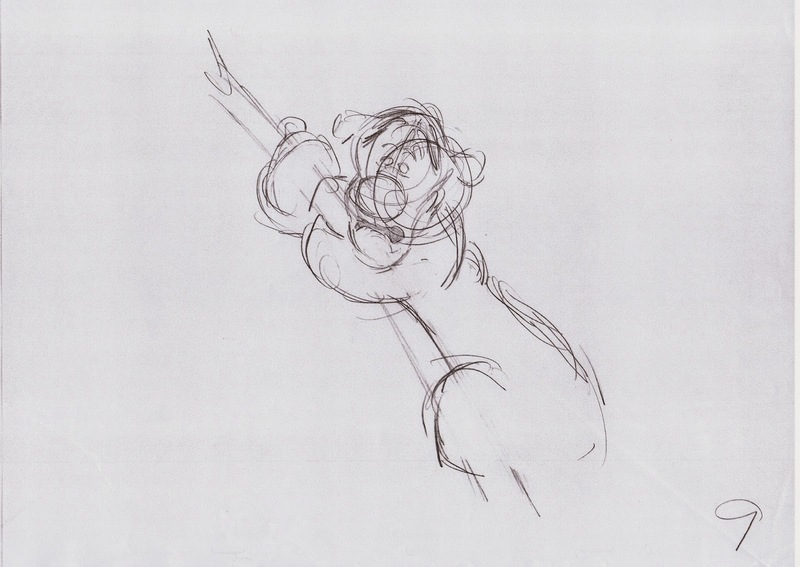 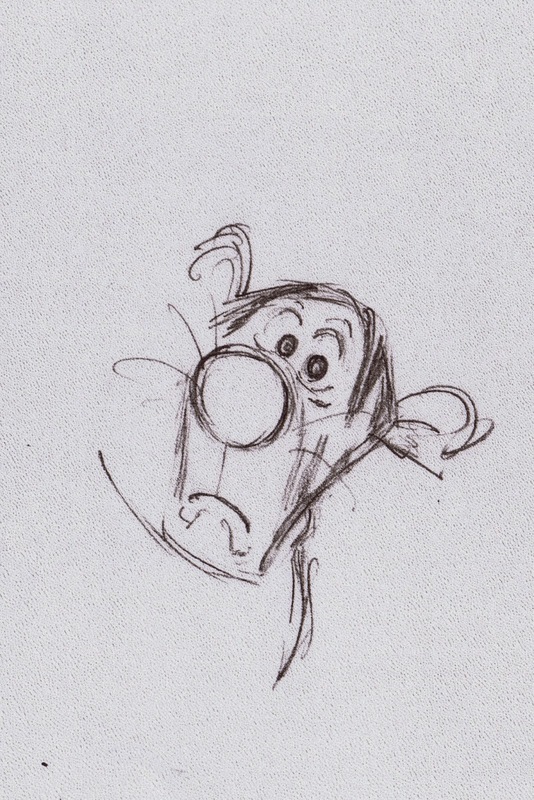 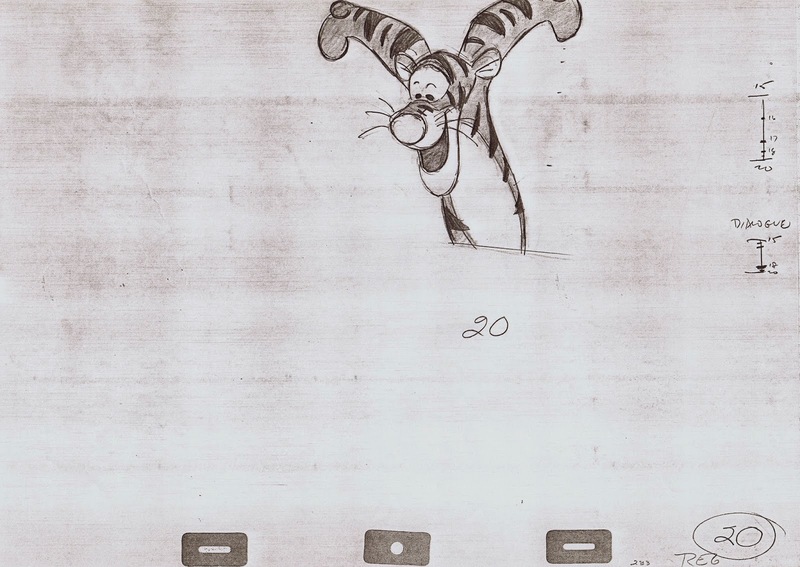 Luckily it was Milt Kahl who was in charge of Tigger’s final appearance in the Disney films. 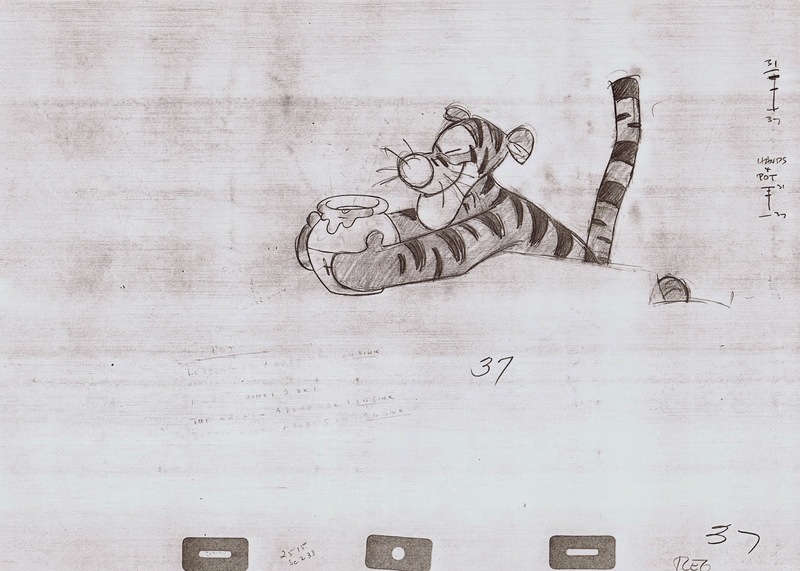 Illustrator Ernest H. Shepard’s original concept looked like this. 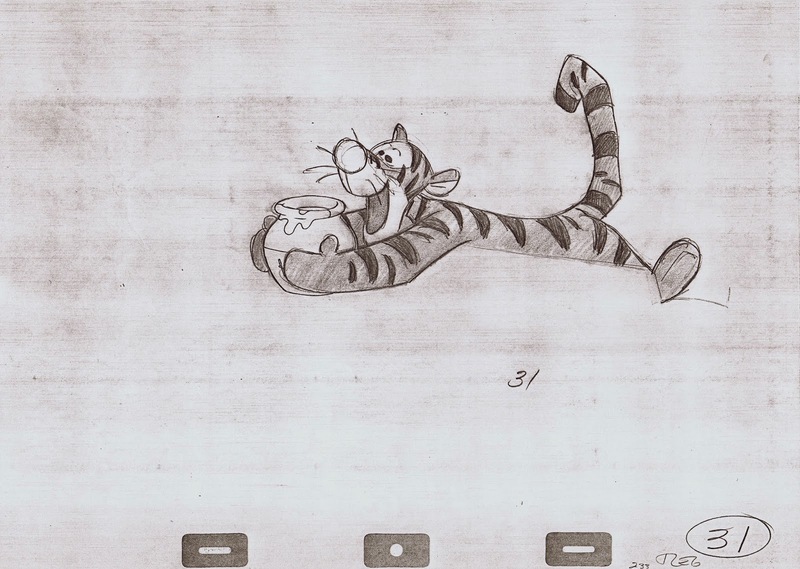 A cel from one of Milt’s scenes. 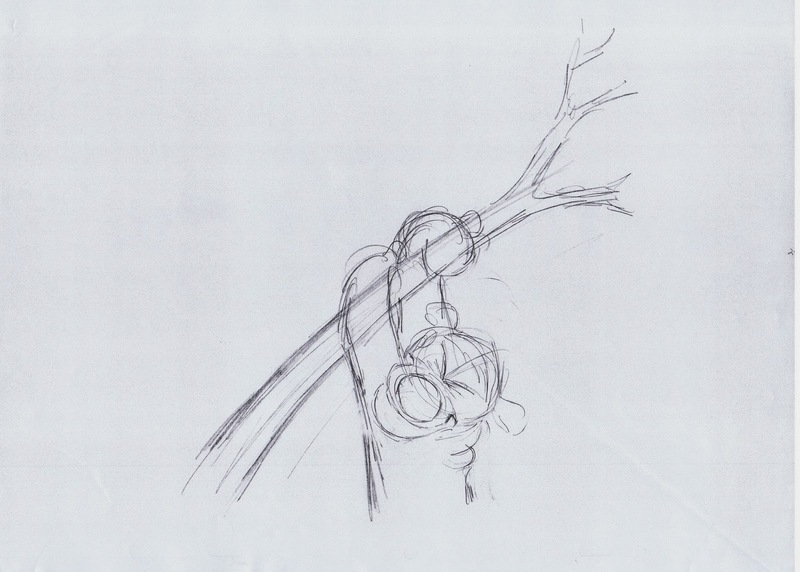 Milt just went to town with this assignment. 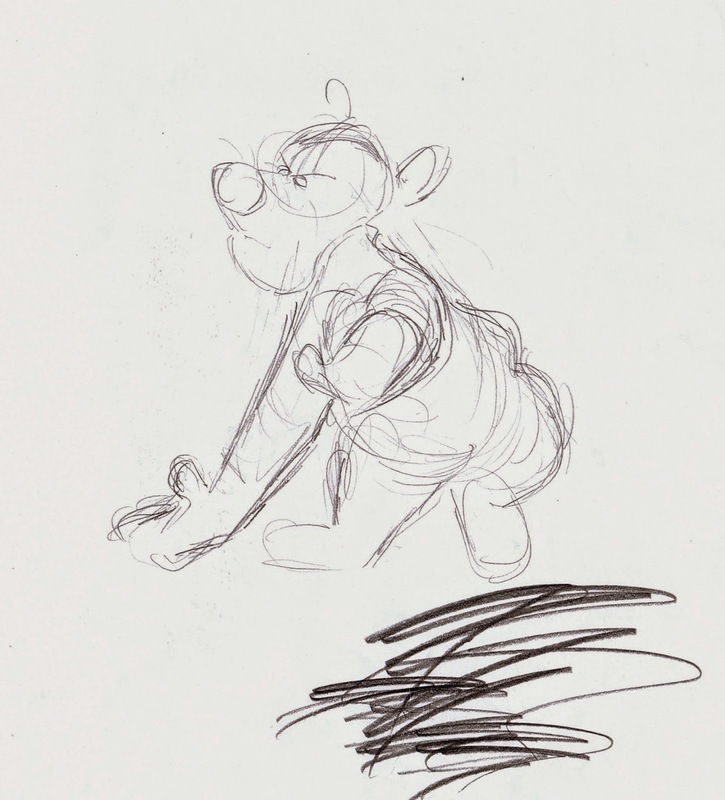 Pooh and most of the other characters behave in subtle ways, and their acting is underplayed. 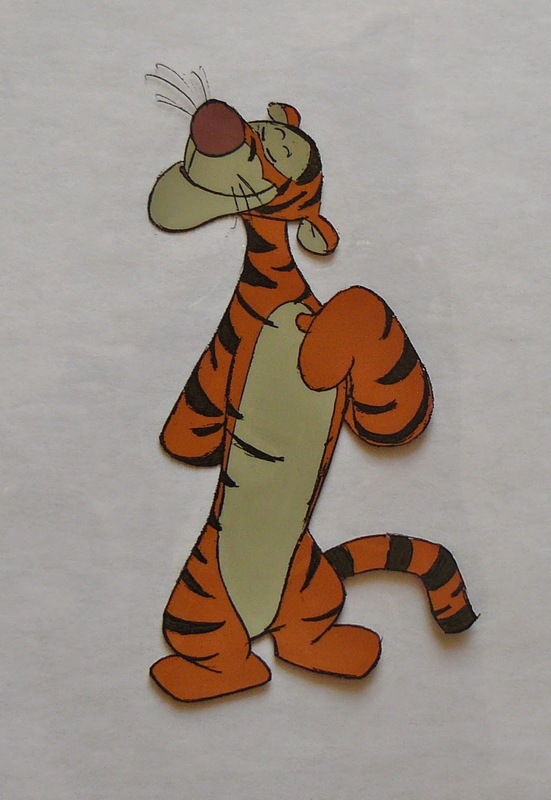 Tigger adds a much needed contrast with Paul Winchell’s voice and Milt’s energetic, boisterous performances. 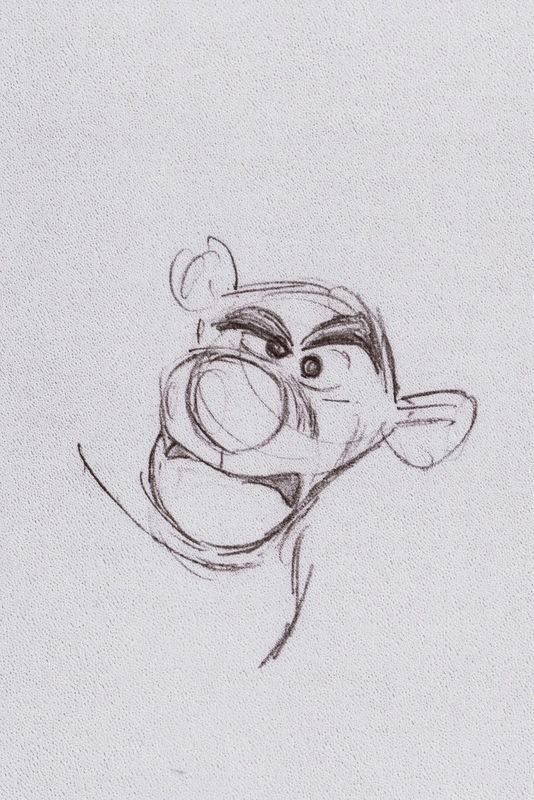 Here are a few of his original, first-pass roughs, which were tossed out because a pose or an expression needed to be altered. 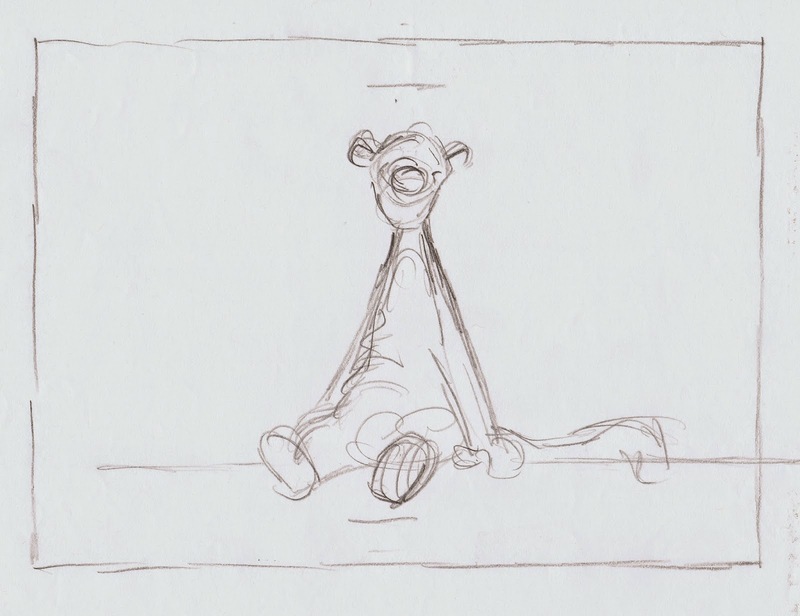 They are from a variety of scenes. 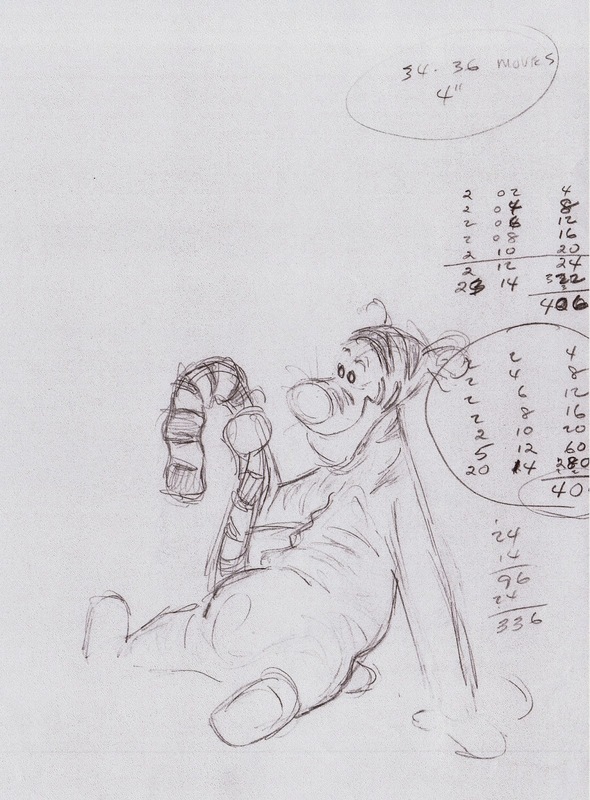 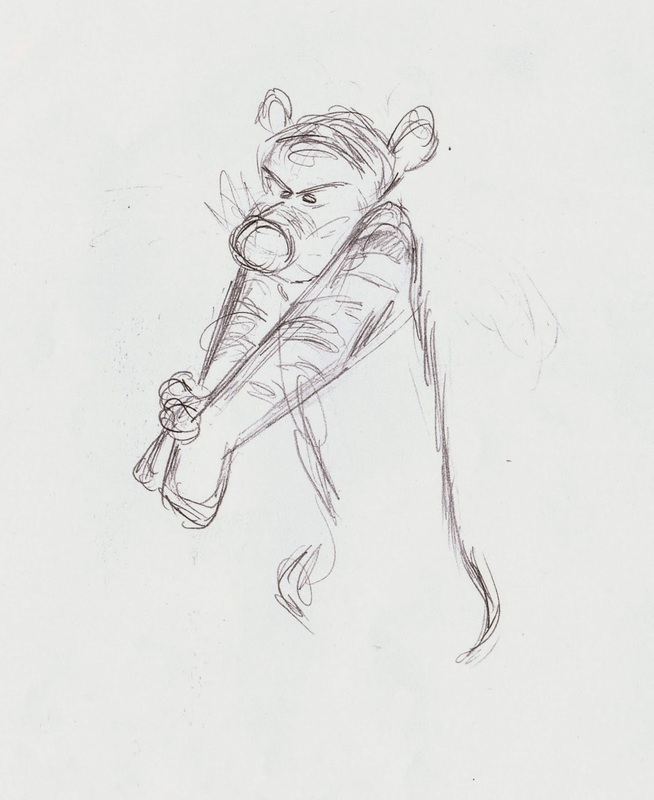 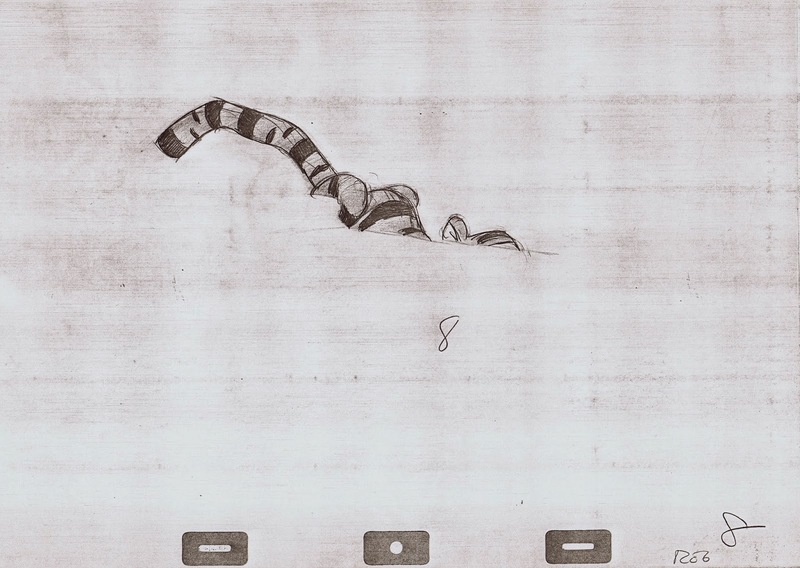 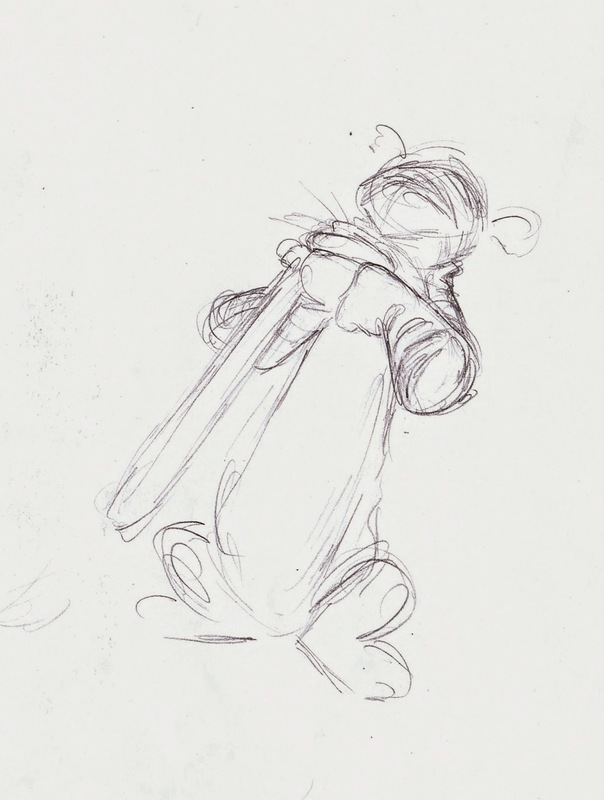 Shepard drew this charming sketch in which Tigger is contemplating about helping himself to some of Pooh’s honey. 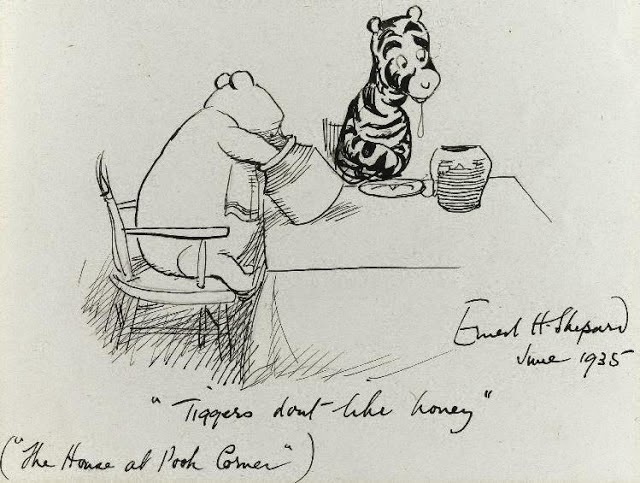 Milt’s Tigger bursts into the scene and grabs a honey pot with a lot of gusto. 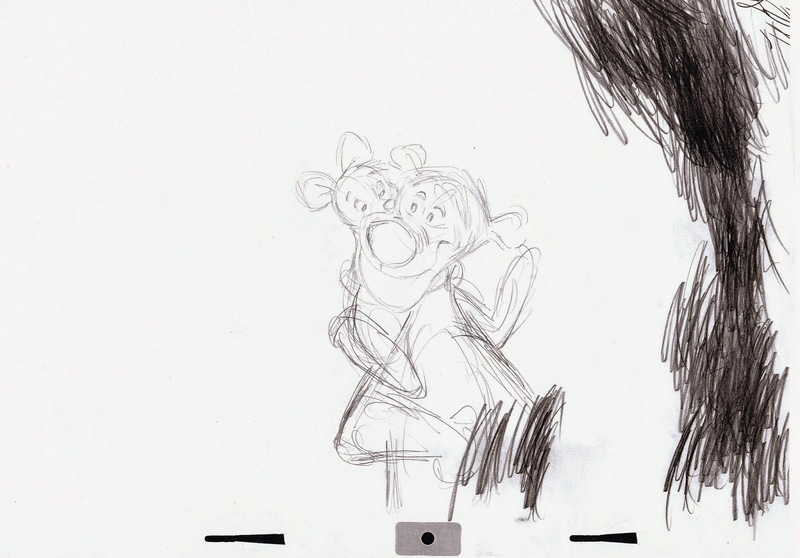 Just looking at these drawings in sequence makes me insanely happy!